We live near Holland and in May each year begins the annual Tulip Time festival. We celebrate our Dutch heritage with parades, Dutch Dancers, great food and, of course, tulips! Lots and lots of beautiful tulips, and they are spectacular this year! One of the highlights for me each year is to be a part of the Dutch dancers. We are one group of 12 people among almost 100 groups. We practice for six weeks prior to Tulip Time, and then perform in a Dutch costume on the streets of Holland every day during the Festival. One of the reasons I love this is because of Amanda. She is in my group, and I get the privilege of dancing right next to her. She is a great Dutch dancer. She stays with the music and completes the entire 15 minute long dance with ease! Amanda brings pure delight to our group. At a recent practice, she was dancing with a partner new to her. She was heard to be giggling and laughing through the dance. It was contagious and others of us found ourselves smiling and laughing too! I love this. I love Amanda! Her laughter and giggles are pure and real. True, pure delight. Amanda brings this to every dance, every time. She brings it to Dutch dance, and she brings it to the lives of those around her. The goodness of God is all around us. 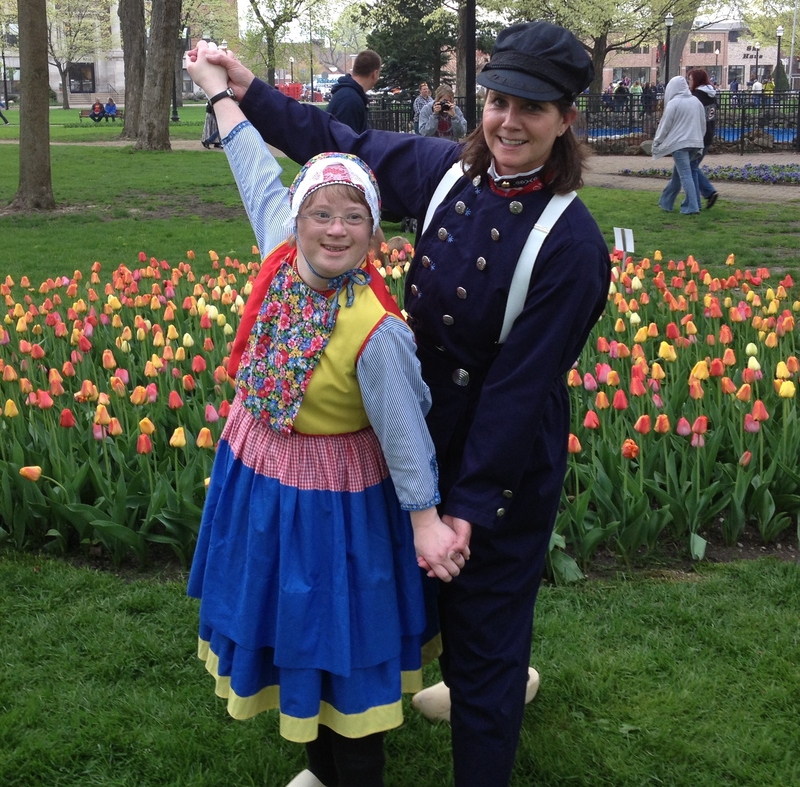 In the beauty of the tulips, the smiles of the onlooking spectators during a dance performance, and the wonderful ability Amanda has to klomp in her wooden shoes while she delights those around her! I am thanking God for Amanda today. I am blessed to be her friend. I love this story about Amanda! It refreshes me and teaches me that God is found in all faces and each one has purpose and value! Thanks for sharing.